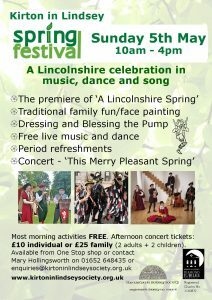 Browse or search our news and events below to find out about what’s going on in Kirton in Lindsey Town Hall . If you have an event you think should be added to the page, or want any more details about a date or event, please contact us. You can also download and print our What’s On guide for the next three months. Error: Error validating access token: Session has expired on Saturday, 23-Mar-19 02:32:21 PDT. The current time is Thursday, 25-Apr-19 18:50:47 PDT.